Perfect accommodation closed to ski locations. Local food shop just few meters away from the apartment. Antonio's house was absolutely perfect for our two couples and could not have been located more centrally. Once we arrived, we were able to walk everywhere and had easy access to the sights and shopping and wonderful bars and fantastic food at the restaurants. The vistas from the top of the tram were breathtaking, the people were very friendly and Marina, the caretaker, was very accommodating. Overall an excellent experience. Excellent accommodation. Great hospitality and service. Near ski bus stop and local chairlift. Would like add the possibility of wi-fi service. ~40 min in ski bus to Sella Ronda. 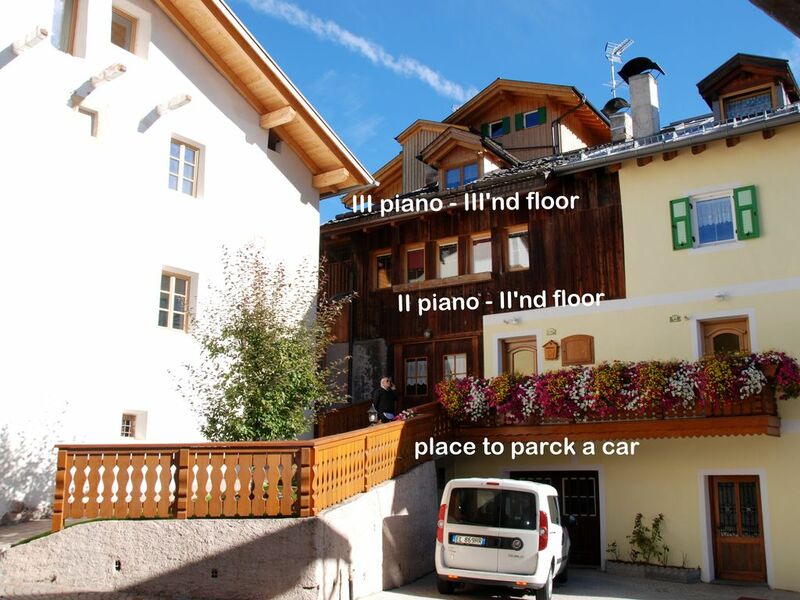 So close to everything you may need in Vigo Di Fassa and great access to bus routes. Great place in quiet town! our friends. A great quiet town with trails and paths near for biking and hiking is what we love to do. Used kitchen to cook most meals and tried a couple of the restaurants which were fabulous too. Tariffe scontate in relazione alla durata, Richiesto supplemento per il riscaldamento in base alla stagione, Caparra del 50% richiesta alla prenotazione, Proprietario non presente in loco. Di solito affittiamo da sabato a sabato.